Leonard was born in the Great East Texas Oil Field in February 1937. His father, Otis Hale, worked for the Sun Oil Company and moved every few years to a different field as the production patterns changed and as new opportunities developed. The family lived near Troup, Texas (1936-41), Livingston, Texas (1941-43), Freer, Texas (1943-45), Bishop, Texas (1945-48), Edna, Texas (1949-51), Natchez, Mississippi (1951-53), and Snyder, Texas (1953-55). Leonard graduated from Snyder high school in 1955. Mary was born in Port Arthur, Texas. Her Father, William Bailey (Pete) Fawvor, worked for Sun Pipe Line Company. The family moved to Sour Lake, Texas in 1941 where Mary started school. In 1950 the family moved to Snyder, Texas. Mary graduated from Snyder High School in 1954. Leonard and Mary were married in 1956 while both were students at Texas Tech. With the financial support of both sets of parents, Mary's work outside the home, and numerous grants and summer jobs Leonard completed a BS in Engineering Physics and a MS in Mechanical Engineering at Texas Tech and a PhD in Mechanical Engineering at The University of Texas (at Austin) in 1964. The family was blessed with the birth of five children during the college years. Leonard, Jr. was born in 1956, Bruce and Becky in 1957, Diann in 1960, and Janice in 1962. A job at Lamar Tech in Beaumont and a couple of summers in India preceded 15 years at Texas A&M in College Station/Bryan. The children completed their public school education in the Bryan school system. In 1978 Mary joined a local Real Estate firm in Bryan as a Realtor. In 1981 Leonard resigned from Texas A&M and joined an oil tool firm in Houston as Manager of Research and Development. Mary joined a Houston title company as an Escrow Officer. The oil business and the Houston economy promptly collapsed in response to their influence. In 1986 they abandoned Houston (the recovery started immediately) and moved to Austin where Leonard was Senior Engineer and Manager of Engineering Services for a small R&D firm and Mary was, again, an Escrow Officer. The Austin economy immediately declined. In 1989, having destroyed the economy of two major industrial centers in Texas, Leonard abandoned industry and joined the Mechanical Engineering Department of Gonzaga University in Spokane, Washington. Mary made the transition to the Title business in Spokane and worked for a time as an Escrow Assistant. The Spokane economy was headed into the dumper before 1989 and college professors have little influence on anything. Consequently, the Spokane economy didn't respond and things went well for several years. While living in Houston Leonard and Mary started building a vacation home on Lake Tyler East, near Tyler, Texas. The project continued as they moved to Austin and then to Spokane. Each year while they lived in Spokane they returned to Tyler to spend the Christmas vacation and for the three summer months. In the summer of 1995 a Tyler newspaper article highlighted the approval of a new engineering program at the University of Texas at Tyler. The opportunity was obvious: a chance to return to Texas, get back on the State payroll, finish the vacation home, be nearer to the kids and grandkids, etc. It was hard to sell the idea to the University administration. But, ultimately, by January of 1996, Leonard was offered the job of leading the formation of the Engineering Program at UT Tyler. Leonard and Mary moved into their vacation home on Lake Tyler in June of 1996. The vacation home was supplanted by a larger home in the spring of 1997. The first students graduated from the College of Engineering at UT Tyler in May of 1999 and Leonard retired as (Founding) Dean of the College of Engineering at UT Tyler in June of 1999. In the spring of 2003 a fool came along with more money than good sense. The lake home was sold and Leonard and Mary moved into a low maintenance garden home in Tyler. For several years they divided their time between Tyler and Harlingen where they spent the winters in association with friends from Texas and from the midwest. 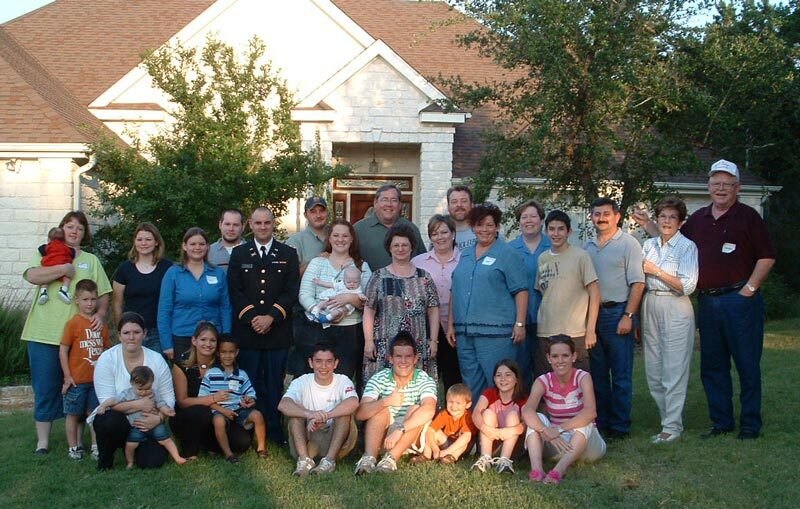 In the spring of 2009 they purchased a home in Harlingen and became full time residents of the Rio Grande Valley.